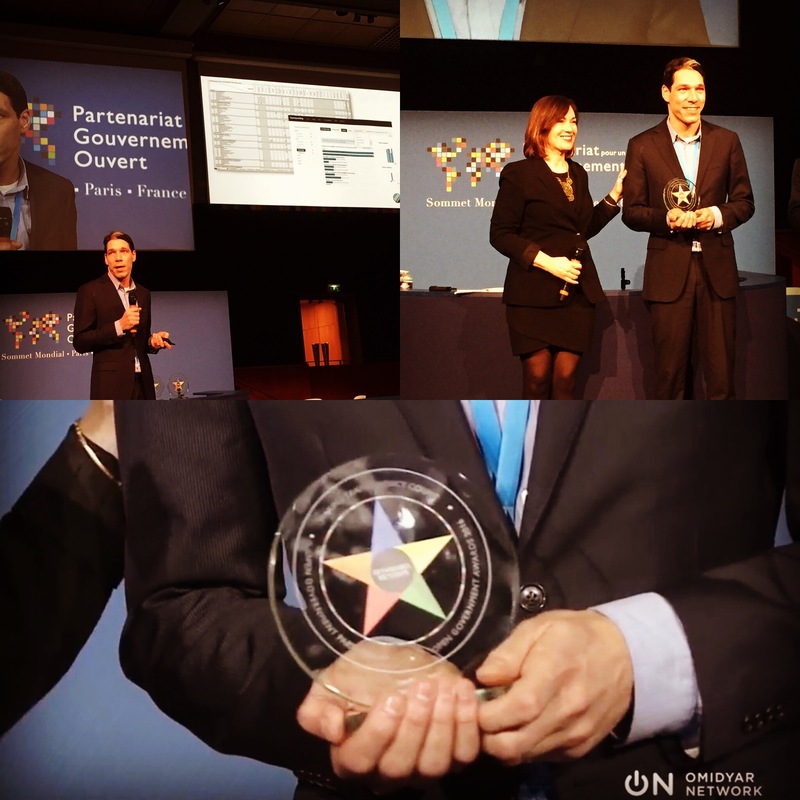 The Third Annual Open Government Awards winners were announced today at the Open Government Partnership (OGP) Global Summit in Paris, France. 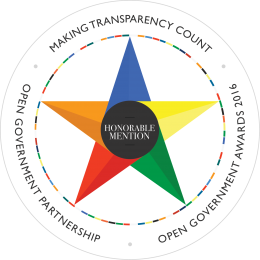 Open State Foundation received one of the seven OGP Awards for its work on Open Spending. Other winners include the top prize for the Ukrainian initiative, ProZorro, which sheds light on corrupt procurement practices in that country, API Pemilu platform in Indonesia, which centralizes elections data to improve citizen engagement and streamline the elections process and the Honduran branch of the Construction Sector Transparency Initiative that works to make government more accountable for construction and infrastructure spending. Four initiatives also received honorable mentions: Malawi’s Transparency Infrastructure project, Mongolia’s Check My Service project, Mexico’s Budget Transparency Portal, and the Netherlands’ Open Spending portal. The awards celebrated civil society initiatives that are using government data to bring concrete benefits. These initiatives improve civic participation in public life, improve functioning of government and create new services with social and commercial value. OGP launched in September 2011 with eight governments and nine civil society organizations at a side event during the United Nations General Assembly. Today OGP is composed of 70 national governments and hundreds of civil society organizations who together have made over 2,500 commitments to bring about greater transparency and accountability in government, facilitating real changes that improve the lives of citizens around the world. Open State Foundation began in 2013 with the disclosure of financial data from the Amsterdam Central District. In 2014, Open State opened up budget and spending data of over 200 local and governments in the Netherlands. With support from the Ministry of Interior this resulted in the end of 2015 with the sustainable release of all quarterly spending and budget data of all Dutch local and regional authorities as open data. Currently Open State Foundation works to open more detailed information on public spending by Dutch local governments.